We get it, though. You can get any of those branded noise makers anywhere. The secret, though, is realizing that you can, in fact, ensure customization for any particular niche you want to target! In other words, online party stores don’t have to simply be about “New Year’s,” “Christmas” or “Valentine’s Day,” or what have you. It can be about Harry Potter. Or Star Wars. Or anything niche, for that matter. Having that customization with BRAVA Marketing gives you that secret IN. The niche. 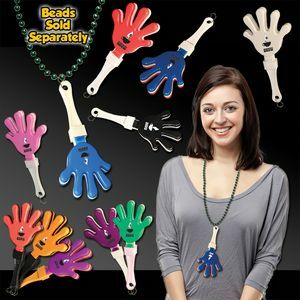 You can custom order anything for your online party store, and in this case, noise makers that are customized to your specific brand (and not just the event or occasion) sets you apart from the generic. Simply take a look at some of the products we have right here. Go ahead. Right now. Right here. The rest is history. And your whatever-your-heart-desires brand for partying up in your very own e-commerce store has the goods for any inventory. Sit in your underwear. Sell a ton to customers clear and wide. Business never looked so good when the Internet makes it that much easier to make your profits and live the good life.